We’d love your help. 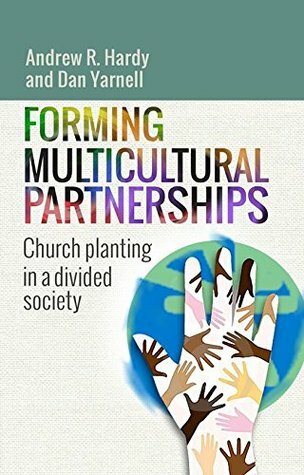 Let us know what’s wrong with this preview of Forming Multicultural Partnerships by Andrew R. Hardy. To ask other readers questions about Forming Multicultural Partnerships, please sign up. Andy Hardy and Dan Yarnell have written an ambitious and wide-ranging book on the multicultural church in England. It is written for those in church leadership, yet would be of interest to others in pastoral or evangelistic roles within churches. It is an insightful and challenging book, which explores topics such as the challenges faced by reverse missionaries and migrant children, the training of cross-cultural leaders and an analysis of the different ways in which churches of different backgr Andy Hardy and Dan Yarnell have written an ambitious and wide-ranging book on the multicultural church in England. It is written for those in church leadership, yet would be of interest to others in pastoral or evangelistic roles within churches. It is an insightful and challenging book, which explores topics such as the challenges faced by reverse missionaries and migrant children, the training of cross-cultural leaders and an analysis of the different ways in which churches of different background approach spiritual warfare. It is about multiculturalism in the broadest sense of the word - not just about the mixing of Christians from different ethnic backgrounds for missional purposes but also considers 'postmoderns' as a cultural group. Occasionally, I felt that the book was trying to cover too much ground and is written in an academic style that might be inaccessible for some readers, but is definitely a book to return to in order to read specific chapters again to gain a deeper understanding.